The Bhagavad Gita has been hailed as a universal scripture, a Bible of humanity. The song of the Lord, uttered by Sri Krishna on the battlefield of Kurukshetra over five millennia ago, remains even in Kaliyuga, in the 21st century, a tremendous source of faith, hope, inspiration and wisdom, to seekers of the spirit in the East and West. Dada J.P. Vaswani offers the Song Divine to us as a text that all of us can cherish and love. Countless are the learned and scholarly commentaries available on the Gita: Dada’s unique achievement is to make this great scripture accessible to us; interpreting its momentous message in a way that we can relate to effortlessly; linking its profound precepts to our daily life, work, conduct and personal relationships. In short, making Lord Krishna’s Song Divine, a book for you and me and a thousand others like us. We do not have to memorise and recite the Gita; with Dada’s lucid guidance, we can actually translate the Gita into deeds of daily living! Make The Seven Commandments of the Bhagavad Gita your guide to a better, higher, more joyous, more meaningful life! Let Dada J.P. Vaswani take you to the heart of the Gita and offer you its essential truths as only he can! You are sure to hear the divine music of Sri Krishna’s flute reverberate in your spirit! Buddha means ‘enlightened person’. A Buddhist is someone who follows the teachings of a particular enlightened person, called Gautama. Jaico’s 366 Gems Series is the first comprehensive collection of the spiritual literature of the whole world presented in accessible form. It is aimed at people who wish to broaden their spiritual outlook, and also at the much larger group who have little or no attachment to a religious community, but seek spiritual wisdom. Each volume in the series contains major writings of one of the world’s spiritual traditions, presented in the form of an annual cycle of daily readings. Rudraksha is an ancient bead known for its divinity, positive results on human mind and for good health. The subject is diverse and complex due to variety of opinions and different descriptions available in ancient epics as well as in some recent books. The Rudraksha is greatly respected and revered as Lord Shiva’s tears – the wearing of which will end sorrows and heal ailments. The Rudraksha is a herb which is good for several diseases as confirmed by the non-clinical trials conducted by Department of Pharmacology, University of Mumbai and sponsored by Rudra Life. This volume is a treasure trove for all who wish to buy and wear the Rudraksha or desire to know more about the bead. Our deepest need is to love completely, universally, without reservation- in other words, to become love itself. Where there is love, everything follows. To love is to know, is to act; all other paths to God are nited in this path of love. In form a verse-by-verse reading of a chapter on devotion from the Bhagavad Gita - the most popular spiritual document of India - Eknath Easwarans words of practical wisdom guide us through the nitty-gritty challenges of everyday love. Answered Prayers is one of a series of pocket-size booklets on the teachings of Sri Sri Paramahansa Yogananda, author of Autobiography of A Yogi. These informal talks and essays offer inspiring and practical guidance for living our lives in a spiritually harmonious way—with grace and simplicity, with an inner equanimity in the face of life’s seeming contradictions, and above all with joy, secure in the knowledge that we are at every moment in the embrace of a loving Divine Power. Remolding Your Life is one of a series of pocket-size booklets on the teachings of Sri Sri Paramahansa Yogananda, author of Autobiography of A Yogi. These informal talks and essays offer inspiring and practical guidance for living our lives in a spiritually harmonious way—with grace and simplicity, with an inner equanimity in the face of life’s seeming contradictions, and above all with joy, secure in the knowledge that we are at every moment in the embrace of a loving Divine Power. The biggest ideas in life are often expressed in the fewest words. 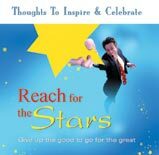 JAICO brings you the best in this series of Thoughts to Inspire & Celebrate. There are no long speeches or fancy tributes, but theres magic on these pages, and you wont have to search for it. It’s not who we are that holds us back, it’s who we think we’re not. The Greatest Miracle In The World is a heart-warming story of hope and inspiration that will affect your thoughts and actions long after the final sentence has touched your heart. This is the incredible story of Simon Potter, a ragpicker who delivers an inspiring “memorandum from God” to make the difference between success or disaster in YOUR life. This book is sure to bring you up when you are feeling down—a great antidote for depression. One of Og Mandino’s best stories.